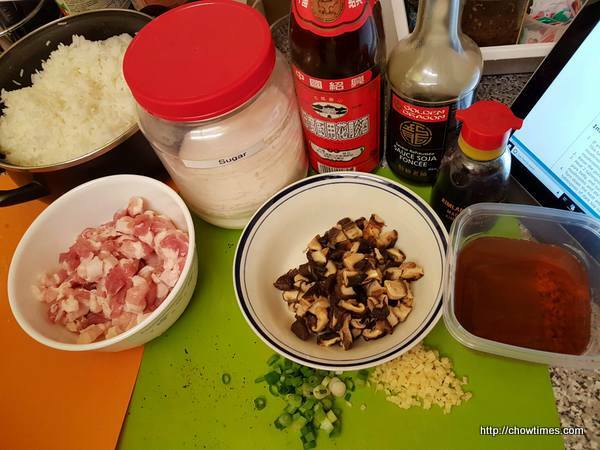 Here is another recipe from The Woks of Life, one of Ben’s favourite following. 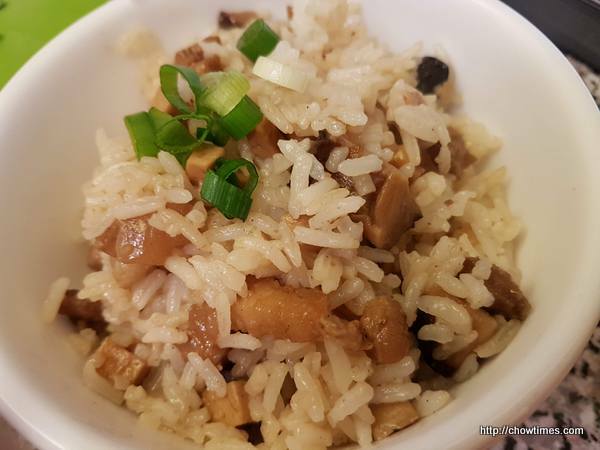 We made this for one of the Christmas potluck gathering. 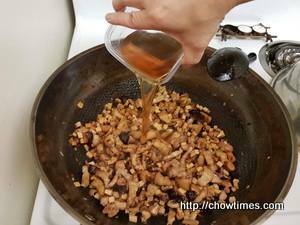 Heat 2 tablespoons of oil in a wok over medium heat. 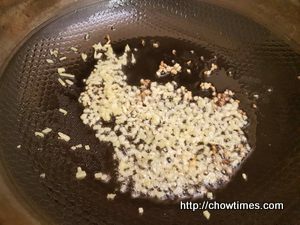 Cook the minced ginger until lightly browned. 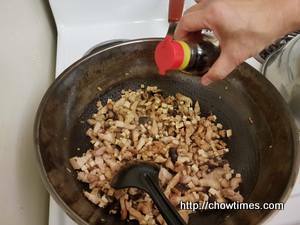 Add the pork belly, and turn up the heat, stir-frying until the pork is lightly browned around the edges. 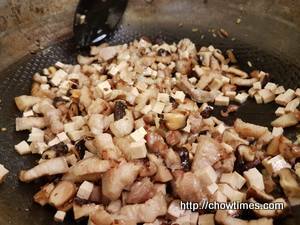 Add the mushrooms and spiced tofu and stir fry for another two minutes. Stir, and turn up the heat to bring the mixture to a boil. 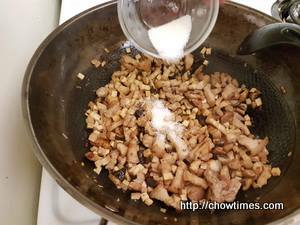 Turn the heat back down to medium, cover and summer for 10 minutes or until the pork is softened and tender. 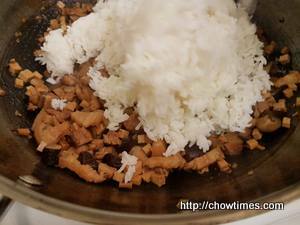 Add the cooked rice, stir and mix everything well using medium-low heat. 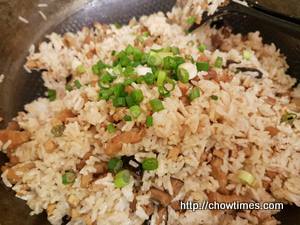 Make sure all the rice kernels are well coated with the sauce. 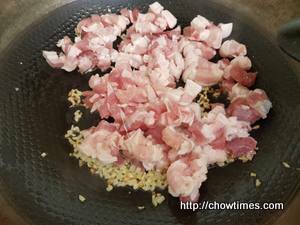 Lastly, mix in the chopped green onions.